Style: Fashion and creative. 7 Colors Change. When shut down light, it is still a beautiful decoration and will match your décor. Please pull up the protective film on 2 sides of Acrylic Plate, then the lighting will be more transparent. Ultra Bright & Eye Safe: Comfortable and pleasant on the eyes, gives out light evenly ensure better eye protection. USB Charging & Long Lasting: Come with USB power adapter, you can connect it to your home power socket or computer USB port. Low consumption and long lifespan, after charge it full, you can use it for a long time. Touch the power switch first, it shows the first color. Touch second, the light turns off. Touch third, it shows the second color. 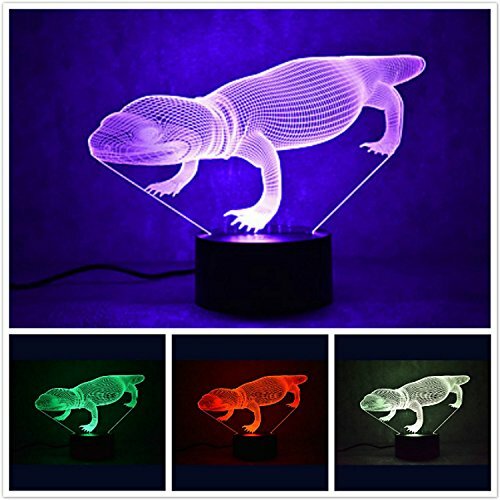 Until the lamp shows the seventh color and turns off, it will be going to the mode of 7-color gradual change. Automatically color changing mode. Press the touch button to last color, then press it again, auto color changing,Very low heat-conductive, will not be hot after long time working,Soft warm light, will not hurt eyes. 7 Colors Change: Beautiful colors, Red, Green, Blue, Yellow, Cyan, Pink, White, Color Changing,USB Powered & Long Lasting: Low consumption and long lifespan up to 10,000 hours. So convenient to take with you everywhere. Fast, friendly and hassle free 100% customer service. we're confident in the quality of our product that we offer a 30-day satisfaction guarantee! If you are unsatisfied with our service or item quality , simply contact us to return the product for a full refund or exchange,we promise satisfy you all 100% ,enjoy really great product. If you have any questions about this product by MOLLY HIESON, contact us by completing and submitting the form below. If you are looking for a specif part number, please include it with your message.